Mike Finoia is a standup comedian based out of New York City. 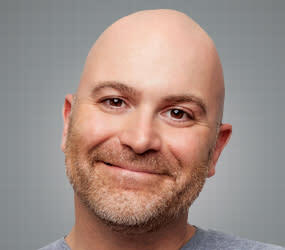 He is a writer for TruTV's Impractical Jokers, host of the podcast Amigo's with Mike Finoia and a regular on Sirius XM's The Bonfire on Comedy Central Radio. Mike has been featured in the NY Comedy Festival, the Oddball Comedy Tour, and the Impractical Jokers National Tour. Receive 2 for 1 tickets with the promo code “NYC"! Directions: Go to ComedyWorks.com and enter the promo code “NYC” at check-out to receive the 2 for 1 TIX offer.